A sadness comes over me on my last day of a hunting, fishing or paddling trip in the Upper Peninsula, one that prompts me to find a quiet place to sit on a stump or log, away from companions, usually spending about 30 minute enjoying the silence, knowing it will be a long time before there are no people or noise around. It doesn't work in the Lower Peninsula -- too many people. It only works in the vast spaces of the U.P., the more desolate the landscape the better. This fall my little ritual was performed in a hunting place in the eastern U.P. I call the Thornapples, a special spot where I first hunted my dog Maggie nearly 20 years. Most would quickly drive past it, if they even ventured out there on the sandy and often mud filled roads. There are no towering trees or waterfalls, just scrub land cut over more than a 100 years ago and left to recover as best as possible, the white pines replaced with the Thornapples, a bush with many thorns, as the name implies, that bear tiny apple-like fruit. 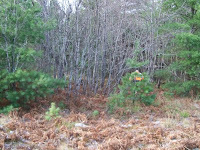 It's a great place to hunt woodcock on their annual fall migration south. It's a tough place to hunt and I'm often plucking them out of my legs until Thanksgiving. It was the last day of our eight-day hunt, and my 63-year-old legs were hurting, so I told my younger companion to take a swing without me, so as not to be slowed by an old guy like me. I sat on a downed log and did my devotional thinking, and then got up and started walking again towards where I'd heard him last shooting and calling his 12 year old dog. The Brit came wandering out of the Thornapples and came right to me. I figured that in dog years she was probably older than me, so I held her by the collar and made her sit and do her own thinking about the last day of the season. She didn't object, even though bird dogs have a drive to keep hunting, one that I often fear kills older dogs. Maybe it will kill me some day, but there couldn't be a better way to go than sitting alone on a stump in the U.P. 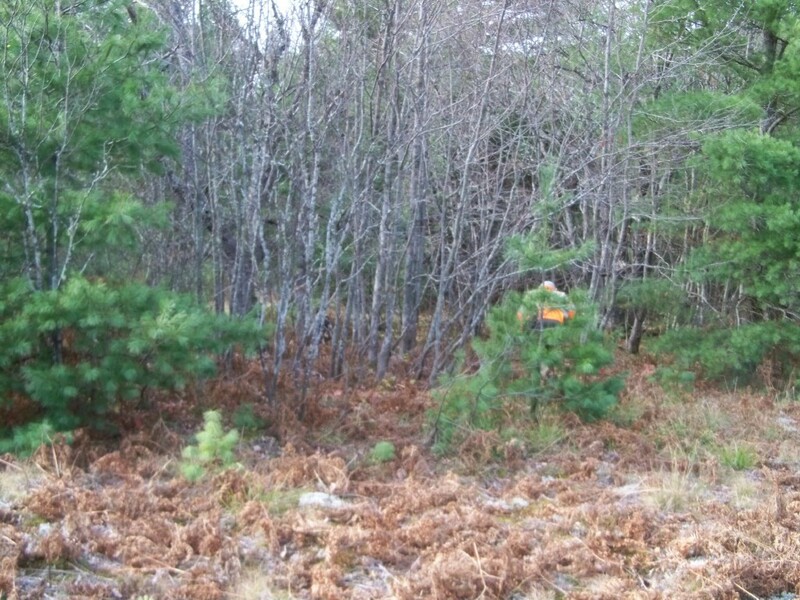 woods contemplating the solitariness of being in the woods alone on the last day of a good hunt with good companions.